OK….So we’ve been to Quartzsite, Arizona a few times over the years. It’s an experience that we feel RVers should experience at least once in there adventures. Some people like to come year after year and make it a wintertime destination while others like to come once and they are done. When we go, we like to shop, eat and have lots of fun in the desert. With friends of course. Because what’s Quartzsite without friends? To the very first ever, Outside Our Bubble get-together, ever, and it will be in Quartzsite, AZ this coming January (2016). We plan on doing the OOB Meet-up: Thursday, January 14 through Sunday, January 17, 2016. We choose these dates based on it being right before the show opening weekend so we can, we hope, get a large enough space for the number of RV’s that care to come join us. Also note… Opening weekend at the show is really busy, so you may choose to say longer if you do not like crowds. We are NOT parked near the show itself as we like it less crazy. We will be having movie nights on our big 11 foot by 9 foot outdoor movie screen, weather permitting of course. We’ll be doing a pot luck dinner at least one night. Quadcopter demos. Bring your own RC craft and join in on the flying fun. Anyone that has a craft they’d like to share, maybe we can do that as well. Oh, if you play a guitar or something, maybe we can do campfire music jams or sing alongs. We park, in the free BLM area, on the northern side of Quartzsite. About 5 miles north on route 95 is Plomosa Road. Turn east onto Plomosa Rd (right if you are coming from Quartzsite, left from Parker). Then drive about 2 miles in and on the left hand side you will see our sign for the Outside Our Bubble group (near where the Montana 5th Wheelers meet). Turn left there and follow the road back to the Outside Our Bubble gathering. Google Map of Location – Zoom out to see area and roads. Not sure what the Quartzsite, AZ Show is like? 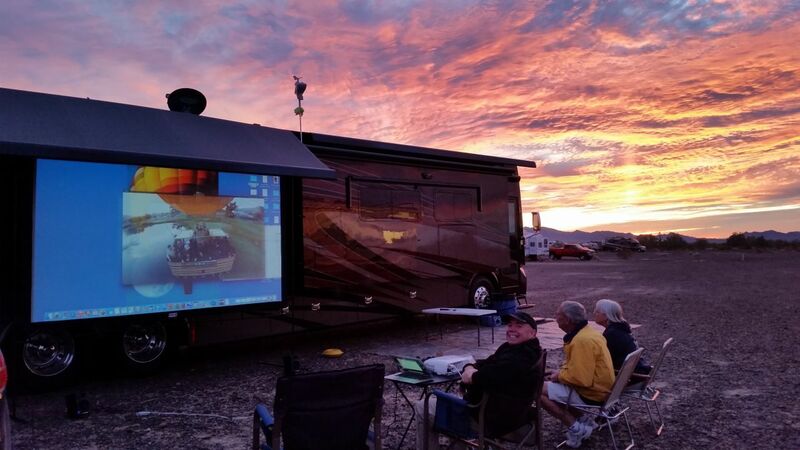 Well…here’s a video we shot last year at Quartzsite of the big RV show and tent event. The tent event is free. The parking around the tent event and where we park in the desert is free. Make sure you fill your fresh water tank and have empty black and grey tanks when you arrive. If need be, there is a place in town to dump and get fresh water if you plan on staying longer or if need be. Bring:Firewood, Full Water Tank, Empty Gray and Black Tanks, Generator, snake bite kit (kidding) and Stories. NextVideo Doorbell For An RV? You Betcha! Hi. We plan on hitting Quartzsite this year for the first time ever. It would sure be nice to spend some time with folks that know the ropes. Pleae count us in! Bill and Diane Kelly. It will be my wife and I’s first time too. Nice! What a great idea and the perfect venue for the first Outside Our Bubble get together! I go to Quartzsite every year around the RV Show time and it is a blast. I will look forward to joining all of the group that shows up in 2016! I have just found your blog and subscribed and look forward to “learning” many things. What a great idea guys. If Jo and I can swing it we are in! Great idea. We are annual attenders — wouldn’t miss it. However we and a group of friends attend the Blythe Bluegrass Festival which regularly happens during the first weekend of the RV show. Then on Monday we all go to Quartzsite and stay 5 miles South of 8, just off 95. Have no trouble finding an area big enough to handle 15 or so rigs. Anyway, think about incorporating the Bluegrass festival in your plans for 2017. It’s a blast. I think we will be passing through Quartzdale before your “rally.” So sorry to miss it. Like a previous poster said, it would be nice to experience it with folks who know the ropes. We would love to be there. We’re planning to become full-timers later this summer and want to be out of Chicago (current home base) before mid-January and we’ve heard about Quartzsite. Hope we’re able to get there. Great idea, would love to meet and greet! If things work out we will be there. Would not miss it for anything!!! What a fabulous idea! Not this time, but who knows, if you do it again, your followers from New Zealand will join you. Sounds like a lot of fun! My Ana wife and I would love to join in on the fun. We live in San Diego, a mere 250 miles away. Good Times! We are no full time, we have been planning on heading to Quartzite this coming January because we want to have solar put on our rig. We would love to join you. We are aiming to make it this coming year. Debbie and I are going to give it a shot. Count us in! Met you at the RVTravel.com get-to-gather this year in Quartzsite. Would love to join you in 2016. 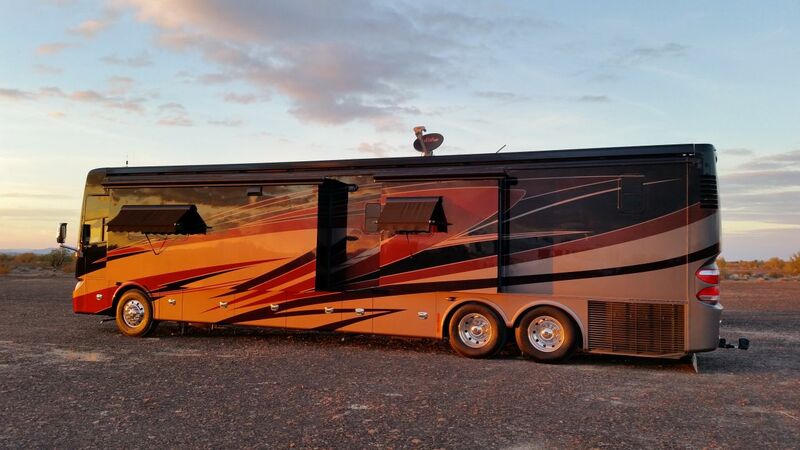 We love the Quartzsite RV Show and surrounding shows. We have been OOB fans for almost a year. We will try to make it. Have to go to Red Bay at the first of the month. Last month of warranty and have a couple of little things to get taken care of. Should make it. Bill and Marty Smith, Hermitage PA.
We will be there for the first time, let us know if you get there early! your blog ever since. Count us in. I’m not sure if we’re going to Quartzsite this year, but if we do, we’d definitely like to be part of the group. My husband, Darrell and I are planning on making the trip and joining you! Sounds like a great time. We’ll bring wood! I will be there on Wednesday, January 20th. In a car passing through. Can’t wait to see you and my first Quartzite RV Show! We would love to join the group this year. It was in our 2016 plans. The only event that might prohibit our participation is a new grandchild. We would love to be there to try to find an RV as we don’t have one yet. But would need to find a hotel nearby. Any suggestions? I am sorry, I do not. We have never been to Quartzite and would love to join you–hopefully we can. We just found your blog and have been planning to go to Quartzite this January. We are now planning to travel a few days early and join the meet-up. This will be our first time to dry camp so it will be an adventure for us. We purchased our travel trailer last year and so far love this lifestyle. We spent 2 months this year in our travel trailer and plan to spend 3-4 months next year. I’m looking forward to my first visit. I will probably be a single and may only be able to stay a few days…is that OK? We will be in Q 2 or 3 times this winter and should be in the area during your get together. We have a couple other groups we spend time with but would like to fit some time in with your group as well or at least pay a visit. Good idea by you guys, always good to meet more people. Hi All – Been full timing for two months in our little 17′ Casita trailer. Would love to join in on the fun, as first timers. Spoke to you at Camp Red Bay about joining the group in Quartzite. Annette and I have discussed going back out to Quartzite and would love to join you guy’s in 2016. We were out in 2012 and again in 2015, We now have family in Buckeye AZ. so this will make it a great surprise visit. Since we are not at Tifffin any longer this is on our list. Hope to make it. Been awhile and miss it and all it’s craziness. Count me in for any cooking. We will definitely be there; health willing. I have never been there. My wife hasn’t been there for about 20 years. It will be a real great trip to (re)-discover this show. Now I have no excuse to delay getting a toad. See you all in January. 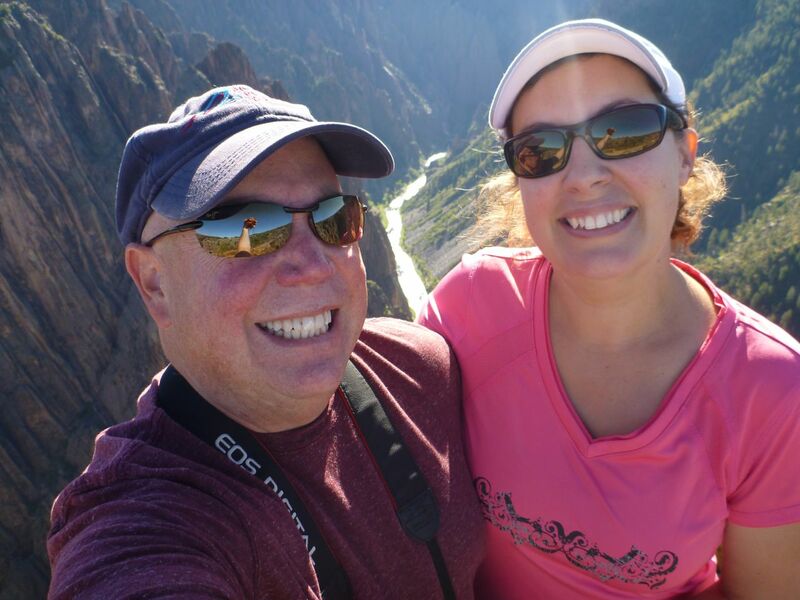 Suzie and I are new to Rv;ing and would like to join the group at Q. We’re from Northern Ontario and in Tucson right now. We have no plans after January 3rd, so well just be driving around the area. Any thoughts would be appreciated. Looks like we can’t make it for this awesome get together after all. My wife and I bought a new house and we close escrow in mid January. If you put this group together again in 2017, we would love to join you at that time. Have a wonderful time in AZ and thank you both for all that you do for the Tiffin RV community and beyond. we are heading to the big Q and will try and make your event. looking forward to it. The cut off date was January 1st….But whats one more? :) I have added you to the list.